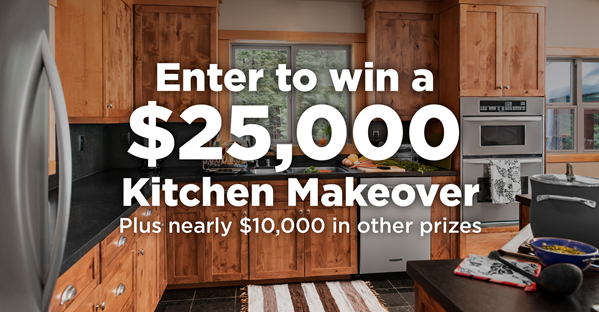 Enter To Win A Kitchen Makeover PLUS Other Prizes! 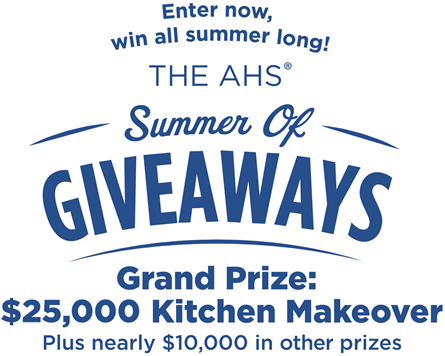 You are here: Home / Sponsored / Enter To Win A Kitchen Makeover PLUS Other Prizes! This is a sponsored post written by me. All opinions are mine. On average, American homeowners can spend one to four percent of their home’s value annually on maintenance and repairs, according to Freddie Mac. In fact, a 2013 study conducted by Decision Analyst for American Home Shield found that within a 12-month period, the typical household will spend an average of $1,302 on repairs and replacements. American Home Shield (owner of brands like Terminex, ServiceMaster and Merry Maids), is giving consumers a chance to win a bunch of amazing rewards such as new appliances, gift cards and the grand prize- a $25,000 home kitchen makeover. So many prizes! American Home Shield knows how expensive it can be to own a home. There’s no place like home … until something goes wrong or breaks down, leaving you with hundreds if not thousands of dollars in unwanted expenses. There are many benefits to owning your own home, but every homeowner also knows that a lot can go wrong, and when it does – it can be costly. $10,000 in prizes given away…each week!